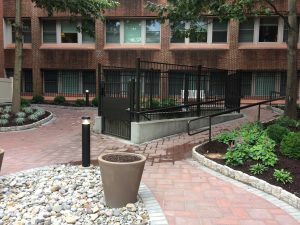 A Masonic Village retirement community in New Jersey was installing a new garden and courtyard area. They wanted a security fence and a garden fence for the separate areas. The desire was for the fence to be built with solid aluminum pickets for durability and longevity. For cost effectiveness and maximum strength, the pickets were turned 45° which added 20% strength and 40% more visual mass from the front side. 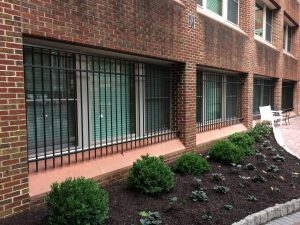 Design was specifically created to match existing terrace railing. 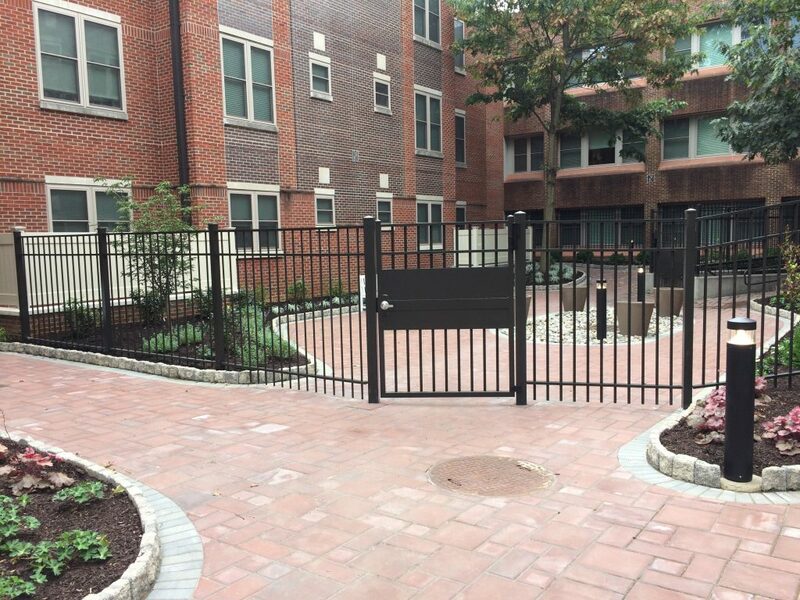 Security gates were designed to not allow any penetration from intruders, but to allow egress in case of emergency. With all the beautiful pavers, flowers and landscape our fence blended in beautifully with the surroundings, giving residents of this New Jersey retirement community a secure and relaxing space to enjoy.